It is nice to have a stove top and oven in your RV. Things can go wrong with your oven like other appliances in your home or RV. To help solve some of these problems they can be fixed by the do it yourselfers, ultimately saving a lot of money on repair service. There are a number of ways you can troubleshoot your oven if the problems are minor. If the burners on the stove top won't light, check the burner ports because they could be clogged. Clean ports with a straight pin. Be careful not to enlarge the port. The burner control knob isn't turned to the correct position. The simple fix would be turning the knob to the correct setting, then turn to the desired flame size. Another problem you may have is that baked products don't turn out. The food isn't browned properly, so the food bakes unevenly and the food is over or underdone. This may mean that the oven wasn't preheated properly, the rack wasn't in the proper place, too many pans are in the oven, or one rack or pan is too large. The oven thermostat may need to be recalibrate as well. This could also be caused by the improper use of aluminum foil. Sometimes when broiling the oven smokes excessively. This could be because the temperature is too high. You can reduce it to 400 to 450 degreeFs, or if the meat is too fatty trim the meat. Check to see if the broiler area or pan is dirty. Clean the broiler area and pan after each use. The broiler insert could be covered with aluminum foil when it should not be. Also never cover the insert with foil because this stops the fat from draining into the pan, which could ultimately lead to a grease fire in your oven. A gas odor could be caused by a gas leak or loose fittings. 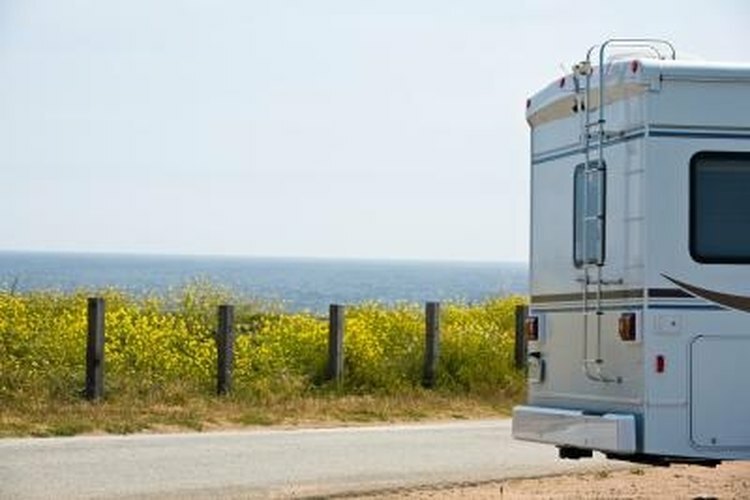 While driving the RV down the road things vibrate and connections can come loose. Periodically check to make sure everything is tight and not leaking. Use a soap solution to check for leaks. Remember do not check for leaks with a match or flame; this can cause an explosion.